In Resident Evil 4, U.S. agent Leon S. Kennedy must investigate the kidnapping of the President’s daughter by a mysterious cult known as Los Illuminados. Play anything from a powerful Slasher to terrifying paranormal entity. Players can familiarize themselves with the Killing Grounds and master each killer’s unique power to be able to hunt, catch and sacrifice victims. Outlast is a first-person survival horror series developed by Red Barrels. As the two follow a trail of clues that started with the seemingly impossible murder of a pregnant woman known only as Jane Doe, the investigation leads them miles into the Arizona desert to a darkness so deep that no one could shed light upon it, and a corruption so profound that going mad may be the only sane thing to do. With XBOX Certificate of Authenticity Seal! Special Edition Includes:-. Factory Sealed. crazed killer hunts four friends through a terrifying nightmare. Survivors can work together or act alone using their situational awareness, while. The Umbrella Corporation and its crop of lethal viruses have been destroyed and contained. Years after surviving the events in Raccoon City, Chris Redfield has been fighting the scourge of bio-organic weapons all over the world. You end up playing a double agent, helping the survivors within the city as well as using them to find the file. If you try to run you will die, if you stand and fight without your UV torch out you will die. Working together, they must find out who took them and to what sinister end. A story of twists and turns will have players guessing the next step at every turn. Evil is watching – Set in what appears to be an abandoned detention facility on a remote island, the horror awaits players around every dark corner. RESIDENT EVIL 7: Biohazard (Microsoft Xbox One, 2017). Condition is New. Dispatched with Royal Mail 1st Class Large Letter. 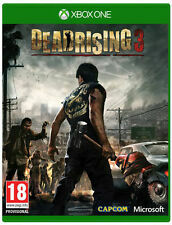 In the sequel to the originalDead Rising, players step into the shoes of Chuck Greene, professional motorcycle racer. Can he protect her and make it out of Fortune City alive?. Dead Rising 3 is, as the title gives away pretty quickly, the follow-up to Capcom's previous zombie-centric open world brawlers. Simple, right?. Yeah, right. You can now craft weapons in the field, for starters. Resident Evil Biohazard - For XBOX ONE. Disc surface in excellent condition. All pictures used are of the actual item for sale. OUTLAST TRINITY. FOR XBOX ONE. State Of Decay 2 - Xbox One (Mint Condition). Condition is Like New. Dispatched with Royal Mail 1st Class Large Letter. 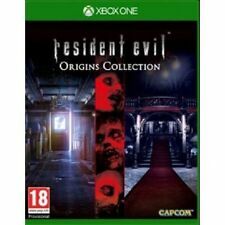 Title: Resident Evil Origins Collection /Xbox One. Missing Information?. Little Nightmares (Microsoft Xbox One, 2017). Condition is Like New. Dispatched with Royal Mail 1st Class Letter. Features: Play as a Community of Individuals in an Open-World Adventure -There is no singular hero character. Your choices shape the identity of your community, ensuring that no two stories are alike. Don't expect to be engaged in too many dazzling heroics - expect to escape death by the skin of your teeth if you're fast and lucky. Each character is equipped with one injection of virucide, which will keep zombies from biting you if they manage to grab you. 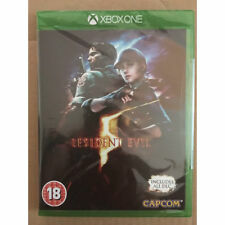 Resident Evil 7 Biohazard Xbox One - Brand NEW & Sealed UK PAL Game *FREE POST*. Condition is Very Good. Dispatched with Royal Mail Signed For® 1st Class Large Letter. Metal Gear Survive Xbox One. Condition is Very Good. Dispatched with Royal Mail 1st Class Large Letter. Monitor your Hunger, Thirst, Fatigue, and Cold as you struggle to. with XBOX Certificate of Authenticity Seal! Bright lights flare across the night sky. The Long Dark is a thoughtful, exploration-survival experience that. Both Leon and Claire have their own separate playable campaigns, allowing players to see the story from both characters’ perspectives. The fate of these two fan favourite characters is in players hands as they work together to survive and get to the bottom of what is behind the terrifying attack on the city. 2 will be included as well as the upcoming third DLC release End of Zoe. Will Chris once again solve the mystery of this latest outbreak and make it out of the plantation’s dungeons alive?. 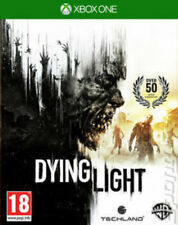 Players will face off against new enemies and explore new swamp filled areas. This is coupled with the upcoming Resident Evil 0, which takes players back to 1998. Reports have been mounting about unusual murders on the outskirts of Raccoon City. Release Date: 22/01/2016. Scottish Highlands & Islands and Isle of Man. It takes players right back to 1998. There are reports and rumours about strange and horrifying murders round the outskirts of Raccoon City. FOR XBOX ONE. WE PRIDE OURSELVES ON DISPATCHING YOUR ORDERS AS QUICKLY AS HUMANLY POSSIBLE. Get assistance at any point. Dispatched within 24 hours. A new breed of Survival Horror from the godfather of the genre - is coming to haunt you and your children! Play as Mr Smith, a depressed cop whose children were captured and his wife murdered. Face off against nightmarish and grotesque criminals in their lairs to save the terrified children, but you'll have to be stealthy and creative in each location, and hope you can make it out alive! The choice is yours! Killer Variety: Play as various incarnations of Jason Voorhees as depicted in the films. Each Jason has been hand-crafted with specific Strengths, Weaknesses, and exclusive brutal kills! Little Nightmares. Dispatched within 24 hours. 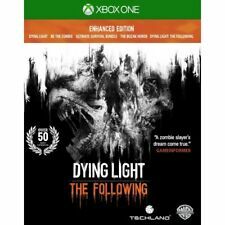 XBOX ONE DEAD ISLAND SLAUGHTER PACK Definitive collection NO GAME INCLUDED. Condition is Very Good. Dispatched with eBay delivery – Shutl 2-3 days. Outlast is a first-person survival horror series developed by Red Barrels. Includes : Outlast, Outlast Whistleblower, Outlast 2. Outlast Trinity Xbox One. Trying to escape?. The Neighbour will find a shortcut and catch you. Hello Neighbor. Dispatched within 24 hours. Fifteen years after the events of Alien, Ellen Ripley's daughter Amanda enters a desperate battle for survival, on a mission to unravel the truth behind her mother's disappearance. Alien Isolation. Underpowered and underprepared, you must scavenge resources, improvise solutions, and use your wits, not just to succeed in your mission but simply to stay alive. 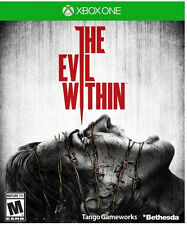 The Evil Within -- Limited Edition - Xbox One. Vampyr Microsoft Xbox One Game. 4.5 out of 5 stars - Vampyr Microsoft Xbox One Game. 5 product ratings5 product ratings - Vampyr Microsoft Xbox One Game. Outlast is a first-person survival horror series developed by Red Barrels. Box Contains. Deadlight: Directors Cut. Through tense platforming and life-threatening zombie encounters, you must choose to use your few bullets to decimate the undead or utilize your surroundings to sneak past them and hide. New sealed has sticker mark. Outlast is a first-person survival horror series developed by Red Barrels. Outlast Trinity. Dispatched within 24 hours.